The Vintage Collection is back! Hasbro's famous super-articulated 3 3/4-inch action figures have returned on retro-styled packaging recalling the original Kenner Star Wars action figures. 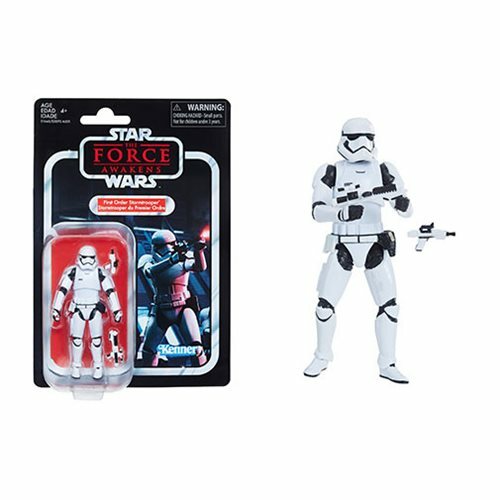 This Star Wars The Vintage Collection First Order Stormtrooper 3 3/4-Inch Action Figure includes a blaster.